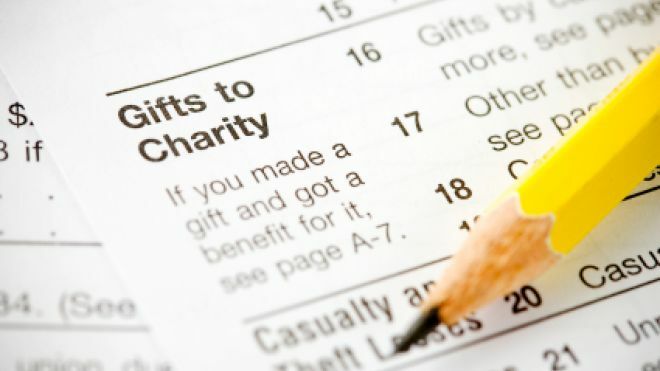 Representative Mark Walker of North Carolina has proposed the Universal Charitable Deduction which would allow non-itemizers to deduct their gifts in addition to taking the standard deduction. The bill caps the deduction at one-third of the standard deduction. The charitable community likes the universal concept, but many are wondering if the cap is needed as it can impact gifts from donors who don’t use the itemized deduction. The “Big Six” Plan Reduces Itemizers by almost 85% —This is estimated to reduce the percentage of taxpayers using the itemized deductions from 33% to 5%. Simply put, there could be significantly fewer clients itemizing their deductions without the Universal Charitable Deduction. Nothing Beats Appreciated Securities for Charitable Giving — Charitable giving is still one of the most tax efficient ways of working with large capital gains. These benefits are amplified with use of a donor-advised fund to help the client manage their grants to their favorite non-profits. Charitable Giving Builds Client Relationships — Clients can express the values and causes that are most important to their lives through their charitable giving. In many instances, how people donate their wealth will better explain their deeply valued desires than how they choose to invest their wealth. Non-Profits Could Lose $14 Billion — Without the Universal Charitable Deduction and as proposed, the plan could end up costing the charitable community approximately $14.7 billion per year. Many of our society’s most vulnerable members will have essential services put at risk. Non-Profits Make a Big Difference in Our Communities — In my home state of Illinois, nearly a half million people work at nonprofits (11% of the workforce) and our charities receive over $8 billion a year in gifts (which is 2.8% of household income). Simply put, the charitable deductions, the nonprofits, their employees, their donors, and, most important, the lives that benefit from charities are all not The doubling of the standard deduction, without the Universal Charitable Deduction, puts them all at risk. All Donors Should Get the Tax Benefits of a Gift Our tax system should support a way that people are encouraged to give each additional dollar to charity. The more donors support charities, the less our government needs to support them. Your clients care deeply about the charities they support. Non-profits make a big difference in lives of the communities they serve. Most important, the Universal Charitable Deduction would provide support that helps meet some of the most important unmet needs of our country. *Adjusted for present value assuming that you will find parts of the reasons not persuasive. Andrew Hibel is a Charitable Catalyst with The Advise Us Fund. The Advise Us Fund is a nonprofit organization making the processes of donor-advised and planned giving more accessible, collaborative and beneficial for charities, donors, and their advisors. Support Your Favorite Nonprofit in a Particularly Meaningful Way!